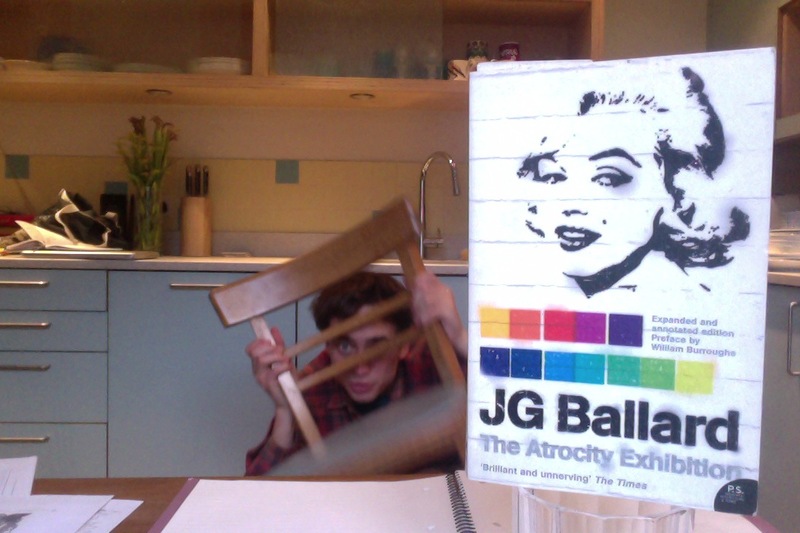 This is the first book I have ever read by JG Ballard. I haven’t read any of his famous ones, have little interest in reading any of his early ones (sci-fi? Do I look like a child/like I haven’t got a girlfriend? ), but found the idea of this messy collection of “condensed novels”/connected short stories/ideas for short stories/variants on the same short story/hyper-experimental novel et cetera et cetera and so on and so on… very appealing. I found the idea of this book appealing. That sentence was a deconstructed mess. In keeping with The Atrocity Exhibition. I’m struggling to describe it. Which is good. Which is what I wanted. I liked the way Ballard wrote, and I liked the themes that he discussed – celebrity, violence, dangerous sexuality, violent sexuality, mental health issues, arts and the media and stuff – it was good, yeah. Experimental, difficult. I read most of it through a hungover fog on Monday, a bit of a stretch, tbh, but perhaps a just punishment for the excesses of Sunday night. I fear I’m regressing. Not just in my lifestyle/behaviour/routine, but also as regards what I’m reading. I’m getting into poetry. Isn’t that all a bit teenage? I’m reading JG Ballard? Isn’t he popular with younger people? I don’t know. I don’t think so. I think I’m being overly critical. But this is a book review. The Atrocity Exhibition was written in part, in places, by Ballard as an exploration of the tragic young death of his wife. But in this book he explores the hyper-sexualisation of politics, of performers, of people, and most famously opens up the discussion of car-crash-fetishism that would be the central conceit of Crash, one of his most successful novels*. This collection explores many ideas, some in depth, some only on the surface, but there are many striking images and harrowing passages. The recurring character who recreates famous deaths, killing the same woman anew each story… And that neatly brings me on to my only real problem with the text… I felt there was a little bit of a demonisation of women going on, though I would be wary to extrapolate further and accuse Ballard, outright, of misogyny. This book, however, comes a bit too close for (my) comfort. So, though I liked it stylistically and, to be honest, enjoyed the way Ballard wrote and the subjects he looked at, I feel I’d have to read a bit wider through his oeuvre before I could make a definite decision about whether or not he’s just a little too old-fashioned for me to enjoy his books. I’ll look up Crash and Empire of the Sun soon, unless someone tells me not to. *And one that I definitely intend to read now. Is that regressing? I’m going to read the latest Granta tomorrow, there’s nothing rock or roll about that, right?